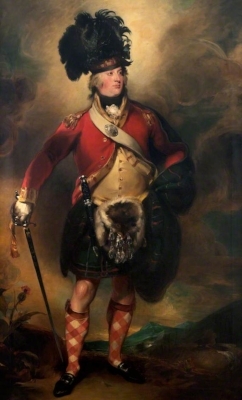 The 78th Highland Regiment of Foot were raised in 1793 by Colonel Francis Humberston MacKenzie and Lord Seaforth (Chief of the Clan MacKenzie) at Fort George, some 15 miles northeast of Inverness in the Scottish Highlands. A merging history initially a single regiment of foot, a second battalion was added a year later, but they merged in 1796 while stationed in South Africa. In 1804, a second battalion was again raised. In 1817, the two battalions were merged and finally, in 1881, the 78th became the 2nd Battalion of the Seaforth Highlanders. During the 88 years from its inception to its disappearance as a distinct regiment, the 78th saw service in a dozen foreign countries and accumulated an enviable array of battle honours. Eight of its officers and men were awarded Britain’s highest military honour, the Victoria Cross. The regiment as a whole was also honoured with a V.C. For more information, please visit the Halifax Citadel website, which has a very complete history of the regiment.